My first experience with American folk-rock singer/songwriter Lissie was hearing her sing backing vocals on Snow Patrol‘s 2011 album ‘Fallen Empires’. Her talents weren’t used to their best advantage there, the raw power of her voice being relegated to a sort of Ronnie Spector-type role that didn’t really suit either the Northern Irish band’s new synth-laced sound or Lissie’s ragged rock edge. Despite the fact something in the pairing didn’t quite work, Lissie’s contribution made a positive impression, inspiring me to check out her often folky and decidedly quirky debut LP ‘Catching a Tiger’. With her 2013 album ‘Back to Forever’, Lissie began to lean more toward the rock end of the folk-rock spectrum, and she continues in that direction with her latest album ‘My Wild West’. Itself foreshadowed by a brief instrumental overture, the album proper starts with Lissie’s “dashed hopes and heartbreak” as “a fresh-faced singer-songwriter” in opening track ‘Hollywood’ and follows through to finally finding “stability, joy and peace” in album closer ‘Ojai’. The songs are infused throughout with the sunny, shimmery warmth of West Coast guitar rock and Lissie’s signature vocal sound, which has drawn comparisons to Fleetwood Mac singer Stevie Nicks. Lissie’s singing voice makes its first strong impression, and ultimately its most lasting one, in the chorus of ‘Wild West’, where she takes a defiant tone, singing “there’s safety in numbers, I guess / but I’m going rogue in the wild, wild west”. The Stevie Nicks comparison becomes evident in early single ‘Hero’, as Lissie intones its verses in the low part of her register over a sultry combination of deep bass and yearning guitar melodies. Recent single ‘Don’t You Give Up on Me’ is another high point of the album, its musical momentum and determination matched by an energetic and high-spirited vocal performance. The California narrative is punctuated by a few twists and turns in the plot, including the gentle ballad ‘Sun Keeps Risin’’, written as a remembrance for a loved one who suffered from ALS, and the feminist anthem ‘Daughters’, inspired by Liberian peace activist and Nobel Prize winner Leymah Gbowee. ‘Stay’ and ‘Shroud’ are emotional low points in the story, the former seething with loneliness in the haunting question “why doesn’t anybody stay?”, while the latter succumbs to the repeated chorus “I feel like I have lost my mind”. Contrasting these are the hopeful love song ‘Together or Apart’ and the passionately uplifting ‘Go for a Walk’, which leads into the aforementioned ‘Ojai’ with an unmistakeable sense of optimism. 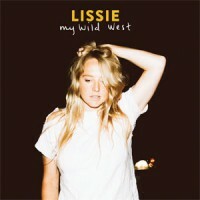 ‘My Wild West’ firmly closes the door on a discrete chapter in Lissie’s life and in her career, particularly with regard to her focus as a songwriter. “There was always a bit of commercial compromise, like pressure to make the charts and sell units,” she recalls of her experience on a major label while in Los Angeles. This album, she says, is free of that restraint: “The moment I decided not to make an album was when I really started to make the album. That took all the pressure off!” As a result, Lissie finds herself in the unique and unfettered position of being able to reflect on the past while simultaneously looking forward to the future. She has stated that she wants to be “an artist with longevity,” and from the vantage point of ’My Wild West’, her prospects look promising. Lissie’s third studio album ‘My Wild West’ is available now via Thirty Tigers (North America) and Cooking Vinyl (UK). She is scheduled to make an appearance next month in Austin at SXSW 2016, where we hope to catch her in live performance. In the meantime, you can find TGTF’s back catalogue of coverage on Lissie right back here.